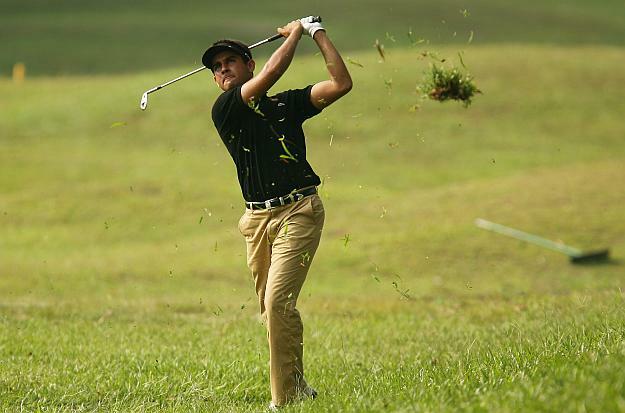 Mark Reid Golf School student, Himmat Rai, on his way to 3rd place at the Iskandar Johor Open in Asia. Rai narrowly lost to KJ Choi and tied with Retief Goosen and secured a full exemption for the Asian Tour in 2010. India’s Himmat Rai stole the limelight by taking the second round clubhouse lead at the Iskandar Johor Open on Friday with tournament marquee name K.J. Choi hot on his heels. The young Indian, who only had 30 minutes to rest after completing his first round where he also took the first round lead, was in superb form as he posted a five-under-par 67 for a two-day total of 13-under-par 131 at the US$1 million full field Asian Tour tournament. Asian Tour honorary member Choi and one-time Asian Tour winner Darren Beck of Australia are a further stroke back after the duo posted matching 64s for a 132 total at the Royal Johor Country Club. Chinese Taipei’s Chang Tse-peng continued his impressive form as he stayed in touch with the clubhouse leader on 133. Thailand’s Chapchai Nirat also gave himself a fighting chance with a 65 for a 134 total. Inclement weather continued to affect play throughout the two rounds, leaving officials no choice but to reduce the tournament to a 54-hole stroke play tournament. Round two will resume on Saturday morning at 10.00am Malaysian time. 24 players have yet to complete their second round while another 30 players have yet to start. “We are forced to reduce the tournament due to bad weather conditions and we hope that we will have better conditions in the next two days,” said Wanchai Meechai, the Asian Tour Tournament Director of the Iskandar Johor Open. Rai, looking for his maiden win on the Asian Tour, fired a remarkable eagle on his second hole when his chip found the hole from 10 yards. He posted four more birdies against one bogey before taking a one-stroke lead. “It is really satisfying because I have been practicing hard. My game plan with my caddie worked out well for us and I am glad to be on top the leaderboard,” said the 22-year-old. Despite completing nine holes this morning, Rai held his nerve and continued his surge up the leaderboard and managed to break away from Choi and Beck with a birdie on the 16th hole. “Resuming play this morning did not perturb me because as a professional, I have to prepare myself mentally for rounds such as this. Everything went my way today, I hit my shots well and took full advantage of that. This is my best performance so far this season,” said the Indian. Asian Tour honorary member Choi held true to his word that he would revive his stuttering form this week by posting a blemish free round highlighted by eight birdies. “The key was my iron shots as I hit a lot of shots to about three to five feet from the pin. I kept the rhythm going and it was great because the more birdies I made, the more confident I felt,” said Choi. Beck, who needed to finish seven holes this morning, opted to go to the driving range for 30 minutes to sharpen his game. It paid off as the Australian returned with eight birdies and an error free round. “I had about half an hour to work at the range after my morning round just to see what I was doing wrong. I came back more steady but I was struggling with the heat especially on my back nine,” said Beck. Beck credited his return to form to a deserving rest that he had taken after the Hero Honda Indian Open. “I have been putting well up to my Brunei Open win but lost my rhythm. I have been working on that and I needed a little bit of rest. I did not play after India and recovered a little bit so I feel a little bit fresher and that definitely helped,” added the Australian. The Iskandar Johor Open, celebrating its third edition and offering a record prize fund this year, is sanctioned by the Asian Tour, Johor Golf Association and Malaysian Golf Association. The main sponsor of the Iskandar Johor Open is the Iskandar Regional Development Authority (IRDA). It is also supported by platinum sponsor – UEM Land Berhad, the master developer of Nusajaya which is a key driver of Iskandar Malaysia. Other co-sponsors include Iskandar Waterfront Development and UM Land. Official partners are TaylorMade Adidas Golf, 100 Plus, Srixon, Winston Wine, Dewars, Ricoh and the Puteri Pacific Hotel. News and updates on the tournament will be available on the official IJO website www.iskandarjohoropen.com. Mumbai, Feb. 12: Confidence personified. This is the first impression one gets when watching Delhi’s Himmat Rai in action on the golf course and while in conversation. On Sunday, the 18-year-old’s golf game justified his self confidence, and he became the youngest champion in the history of the tournament when he lifted the title in the Royal Challenge 105th All India Amateur Golf Championships at the Bombay Presidency Golf Club course. Pitted against another talented youngster in the 22-year-old Joseph Chakola of Coimbatore , Himmat Rai was up by five holes after 32 to lay his hands on the country’s most prestigious amateur golf award. ‘I was playing well in the tournament and was confident of winning the final,’ said Rai after his victory, but the start seemed to tell another story. Down a hole after two, and seven, Rai birdied the eighth to level scores and then went one up after winning the ninth. This is when Rai’s confidence began to show. Aided by his ‘friend’ and caddie, Sachin, who has been by his side for the past ten years, Rai’s putting, which, self-admittedly, has always been his strongpoint, ensured that he finished three up on the next nine holes. He extended the lead to five up after 24 and though Chakola had not thrown in the title and was playing calm and composed golf, the gap proved too huge to bridge. On the 32 nd hole, once again Rai hit a good second shot and came up with a brilliant putt for par, which saw him retain his five up lead and gave him the title. In his first year on the senior Royal Challenge Indian Golf Tour, Rai has proved that he is one of the bright young sparks on the horizon, already having won the Royal Challenge Eastern India Championships in December 2005. Of course, it has been the reward of tremendous hard work. ‘I practice for 10 hours daily,’ said Rai matter-of-factly before revealing that he plans to turn pro next year. Having begun playing golf at the age of four, it definitely seems the right time for Rai to foray into the professional circuit. Understandably disappointed, Chakola, employed with Oil India, said he was let down by his putting. A case in point is one the 27th hole when Chakola hit a brilliant approach shot to land about 6 feet uphill from the hole. He missed his birdie putt by a whisker, which was the story of his golf throughout the match. ‘I was never really in the game after nine holes. My putting let me down, which does not happen too often, but I could not put up a fight and he had to just hang in there with pars,’ added Chakola, who is off to train abroad for a year, after which he too plans to turn pro in 2008. The Mark Reid Golf School has many programs available for all levels of golfers. To view our programs, click here. 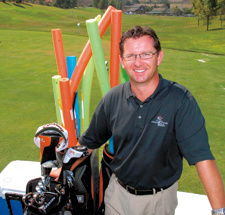 Born in Ireland, Mark Reid started playing golf at age 11 and has been an instructor for 20 years.Since Reid began working with the David Leadbetter Golf Academy, he has been privileged to teach in locales such as Austria, Portugal and Brazil.Now stationed at the Academy’s newest site at Strawberry Farms Golf Club in Irvine, Reid is a senior instructor and director of junior programs.What’s the most satisfying thing about being a golf teacher? Helping my students play better. I love it when someone says, “I have been to every golf pro and no one can help me: You are my last hope.” I will do whatever I need to do to get improvement — maybe that’s why I never finish a session on time! The best is when I get calls from students who shot their lowest score, won a tournament, etc.What’s the best golf tip you’ve ever received? One of the reasons I became a full-time teacher was due to my poor pitching skills from inside 60 yards early in my golf career. On my third day of training at David Leadbetter’s headquarters, I decided to hit a few pitch shots on the range. David noticed me and came rushing over — I guess he felt the outcome of my pitch shots might frighten away students! David said because I was putting so much weight on my left leg that it pushed my upper body weight to the right, resulting in my right shoulder being too low. He told me to get my right shoulder higher and the feeling that my sternum was nearly perpendicular to the ground. I have become a good pitcher of the ball since that day. Fifteen years doing it incorrectly, five minutes with David Leadbetter, and amazing results. It was like a MasterCard commercial.What’s the most common problem you see in your students, and how do you fix it? Holding the club too tight. When you change something in your setup or swing, your grip tends to become tighter. With the correct grip size, you can hold the club or place your hands on it properly versus gripping it.What’s your motto on the course? Commit to every shot — the outcome will determine if you made the right choice. Only then you can evaluate and reassess.What’s your favorite part of the game? Putting. I was Padraig Harrington’s putting adviser for about three years during his amateur days.Whose swing on the PGA Tour do you most admire, and why? MUMBAI, OCT 2: Golf has grown by leaps and bound in recent years and India is not far behind. These were the sentiments shared by Mark Reid, Director of the world renowned David Leadbetter Golf Academy (DLGA) during the Royal Challenge-DLGA Golf Training Program which concluded today at the plush Royal Palms Golf and Country Club, Goregaon (E).The three-day camp aimed at solving the basic flaws in the golfers’ techniques, essentially the swing, was in continuation of the first training program held late last year. Though Indians have not made a major impact in the golfing world, Reid felt that the potential is very much there. “I have worked with Indians and one of the important part of their game is that they feel very strongly about it. Also they are very good observers. There was this caddie, who managed to hit the ball a good 120-yards for the very first time that he tried. He has observed people playing and picked up the game which is very good.” opined Reid. Amongst current Indian players, Reid finds amateur Amit Luthra most impressive. And on the international scene feels American Mark O’Meara, winner of this year’s Augusta Masters, set for the `Golfer of the Year’ award. “But golf is not only restricted to professionals, it hasbecome a way of life,” said Reid while recalling an incident, how a businessman had to learn golf to expand his business. Apparently his Japanese counterparts laid down a condition that they would deal with him only if he could play golf! GOLFERS, professional and renowned amateurs, are as sensitive and determined to improve their technique and skill as cricket stars. Ever striving to eliminate their shortcomings, a group of pros and women amateurs attended Mark Reid’s coaching clinic at the Classic Golf Resort at Gurgaon recently. On a ‘business’ trip to sell the idea of establishing a full-time golf academy on the lines of David Leadbetter Academy, a pro golfer-turned-coach Reid explained to the trainees the importance of orthodox technique which, as in cricket or tennis or badminton or any other sport, helps progress faster than otherwise with none too impressive style and technique. With a decade’s experience in coaching after being a pro for nine years, Reid combined theory with demonstration. Bringing into play video with computer, he analyzed each pro’s style and technique and explained to him/her not so obvious defects in his/her grip, stance, swing and the role the body position plays in every shot. The trainees saw their movements and majority of them were convinced in what Reid was trying to explain to them. Articulate and friendly, Reid was, in a way, a perfect teacher. He displayed monumental patience in dealing with each trainee. His aim was to win their confidence. Reid was candid in saying that one session was not exactly enough to sort out defects of professional players. “There should be follow-up and that is why I will visit Mumbai/Delhi again on two-three occasions”, said Reid, adding: “I have, however, given very simple exercises on ‘basics’ of golf and, if the players practice them regularly, there will be sufficient progress in their technique.” He was sure of what he was trying to emphasize. The coaching program, three days in Mumbai and two days in Gurgaon, was initiated by Shaw Wallace in the hope of lifting the general standard among amateurs and professionals. The program was in association with David Leadbetter Golf Academy (DLGA), which, according to experts, was one of the leading coaching centers in the world. 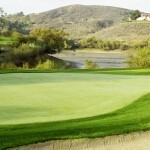 Reid was mightily impressed with the classic course, which, according to him, was outstanding in every aspect of golf. He felt that it was a right venue for hosting regular training camps. There were, however, some who felt that the ‘distance’ was ‘killing’ as, according to golfers, driving for 70-80 minutes from Delhi rendered them tired. Veteran golfers concede that the Leadbetter Academy is world famous. But they are of the view that renowned Indian coaches should be associated with Leadbetter Academy to undergo training there. They should then train youngsters in different parts of the country. This, according to veteran golfers, will help improve the general standard of golf. Golf is already a very costly discipline and undergoing training from a foreign coach is all the more exorbitant. Maybe, a very few can take advantage but, by and large, it will be beyond the reach of an average golfer. There is a plenty of talent in the country but sadly it is not being groomed to “flower”. This is said about golf and all other disciplines, including hockey. There are many renowned officials who feel that foreign coaches should be imported to train players. There are, however, a few knowledgeable retired players who feel that there is no need for foreign coaches but what is of paramount importance is that there should be foreign ‘administrators’ to spread professionalism in implementing the program and scheme so that talent is groomed instead of his/her being “throttled young”. There is a lot of force in this observation. Had the Professional Golfers Association of India (PGAI) been in the hands of professionals, Indian players would not have been deprived of participation in the World Cup. It is learnt that the International Golf Federation has always been (mis)treating Indian players. In previous years, the organizers provided economy class tickets to Indians while other participants were given business class tickets. This year, the organizers declined to provide any air passage. All this has been happening because our national body has been a “weakling”. Had it been a stronger body with stronger men to control it, the organizers could not have played “foul” with the Indian players. The PGAI should take up the matter with the powers that-be so that similar shabby treatment is not meted out to players in future. “We must learn to safeguard our self-respect”, said three veteran golfers.